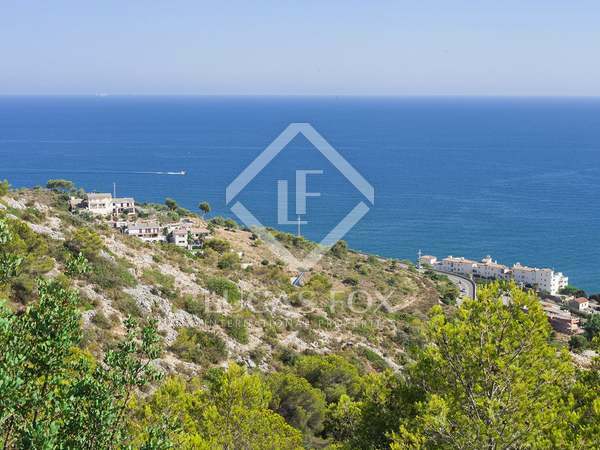 House for sale with fantastic sea views in Sitges. 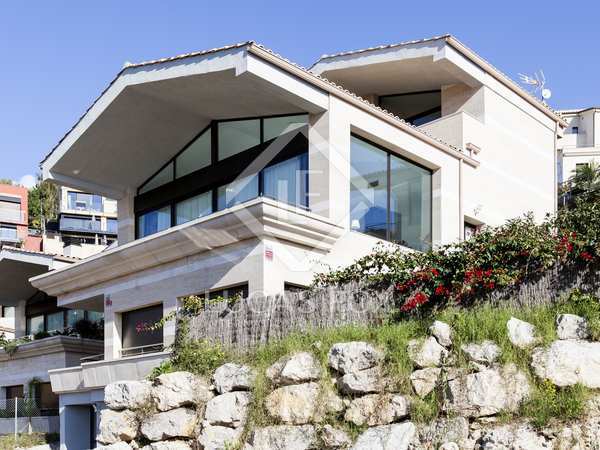 House for sale with fantastic sea views in Sitges. 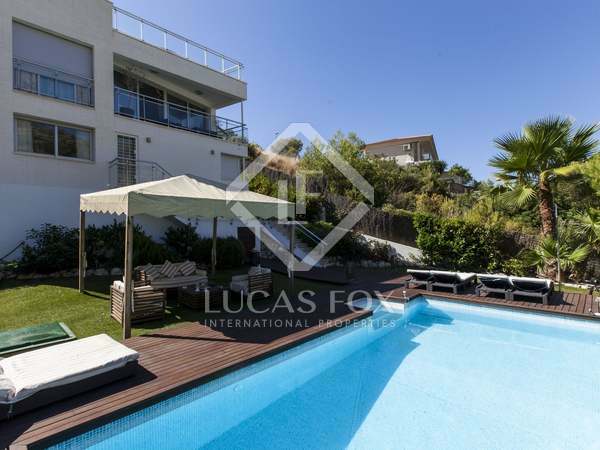 Property situated in a huge plot which offers complete privacy, a garden and a swimming pool. Attractive family home with stunning sea views for sale in Quintmar, 5 minutes from the centre of Sitges. 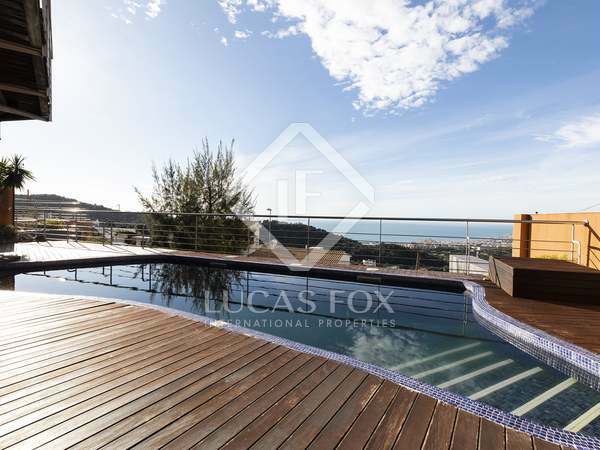 Modern villa with quality finishes, a pool, gym, chill-out area and sea views for sale in Montgavina residential community, 5 minutes by car from the centre of Sitges. 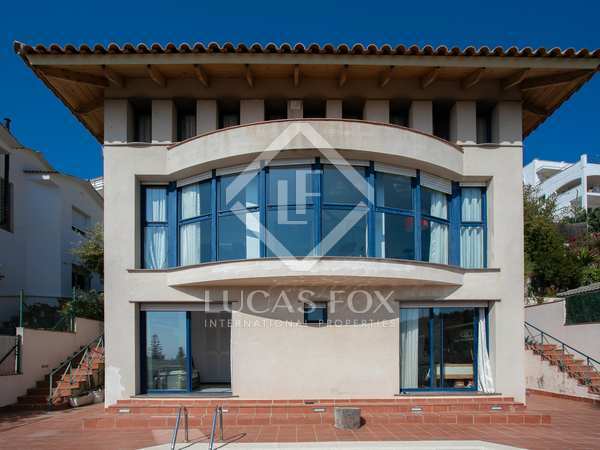 Modern design villa with spectacular sea views and a low maintenance garden for sale in the quiet residential area of Quintmar, just a few minutes by car from the beach and Sitges centre. 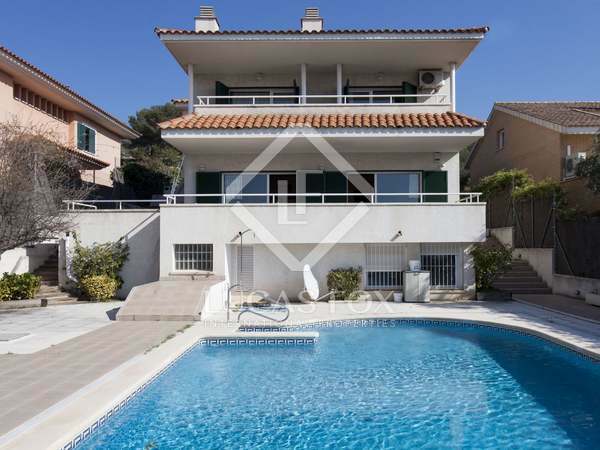 Modern family villa with a pool for sale in Montgavina, Sitges. 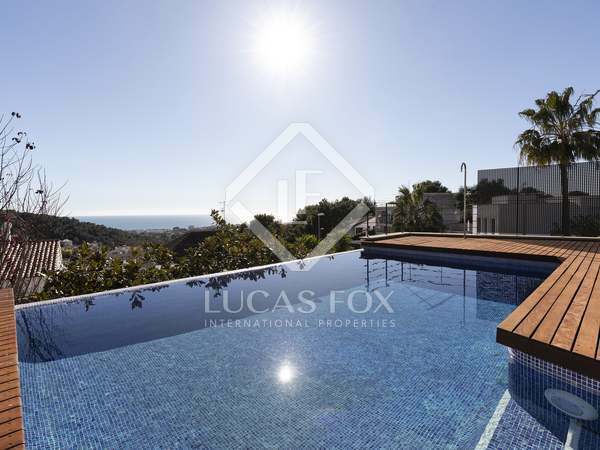 4-bedroom villa with an infinity pool, parking facilities and a low maintenance garden in Montgavina, Sitges. 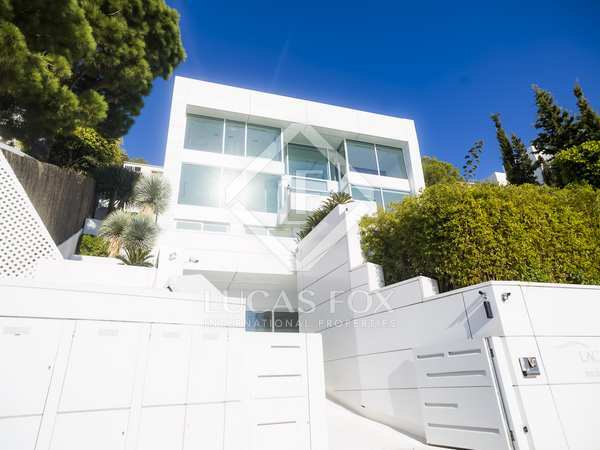 Magnificent 8-bedroom villa with a large garden and pool, for sale in the exclusive Levantina neighbourhood, walking distance from Sitges beach and centre. The property has a tourist licence. Contemporary-style house with 5 bedrooms and 2 separate annexes with lovely sea views. 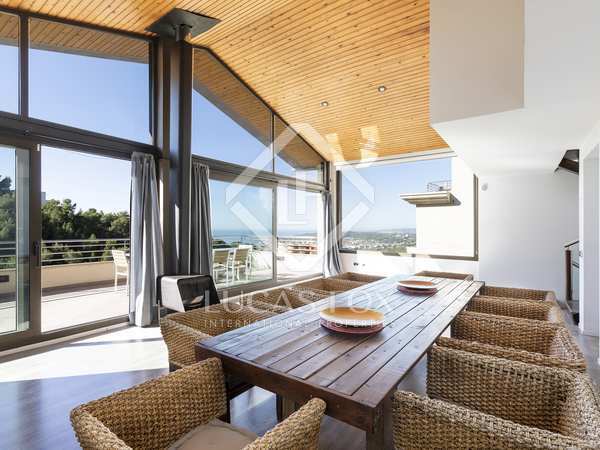 Modern south-facing property with spectacular panoramic sea views overlooking Sitges. 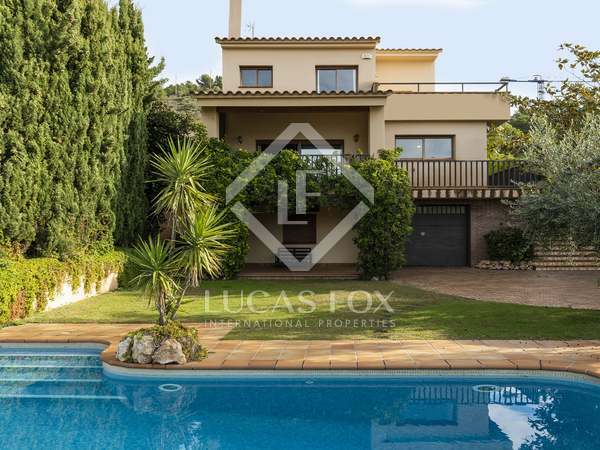 Beautiful 4-bedroom villa with excellent outdoor space and stunning views, for sale in Quint Mar, close to the centre of Sitges. 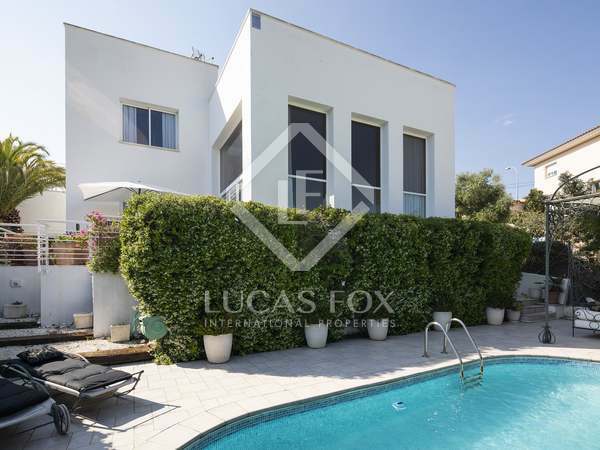 Modern design villa with a low maintenance garden and pool with spectacular sea views in Quint Mar, 5 minutes from Sitges town, beach and train station. 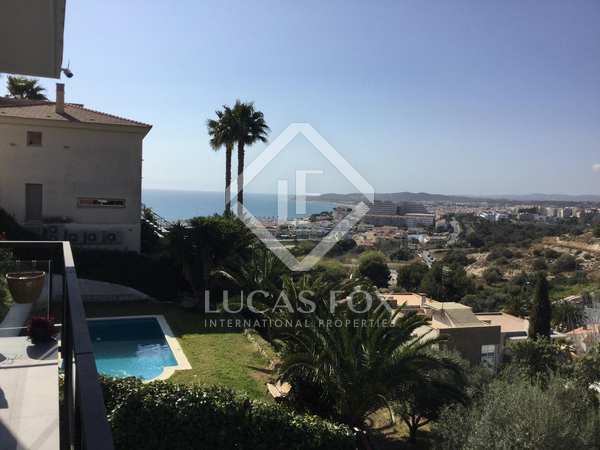 Well priced villa for sale on a large plot with sea views in the most accessible part of the Levantina residential area, a 10-minute walk to the port and 15 minutes to Sitges town centre. 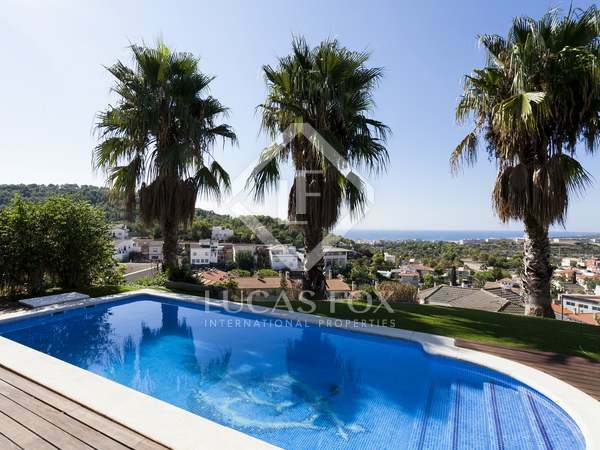 Mediterranean style villa with very sunny garden, pool and garage for sale in the Montgavina neighbourhood, in Sitges. 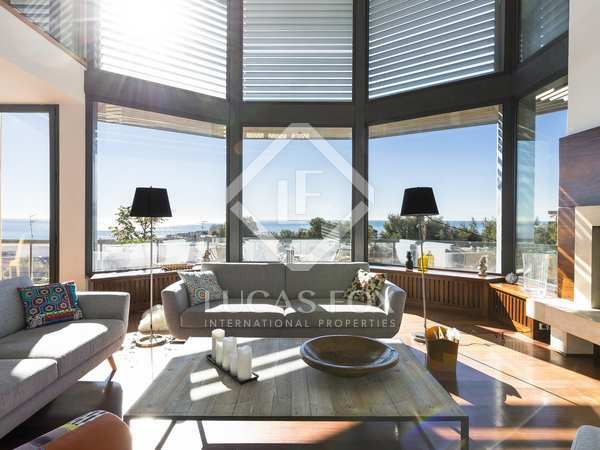 Exceptional house with sea views for sale in the Quint Mar area of Sitges. Opportunity to buy a property with 2 legally divided plots in a highly sought after residential area of Sitges. 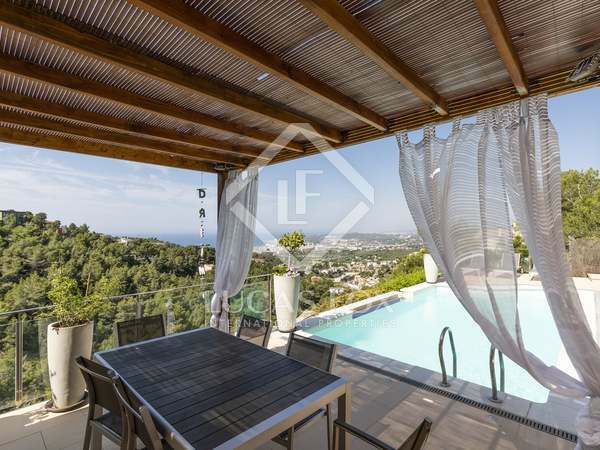 House in Levantina, in impeccable condition with sea views just 5 minutes on foot from the beach and 15 from Sitges centre. 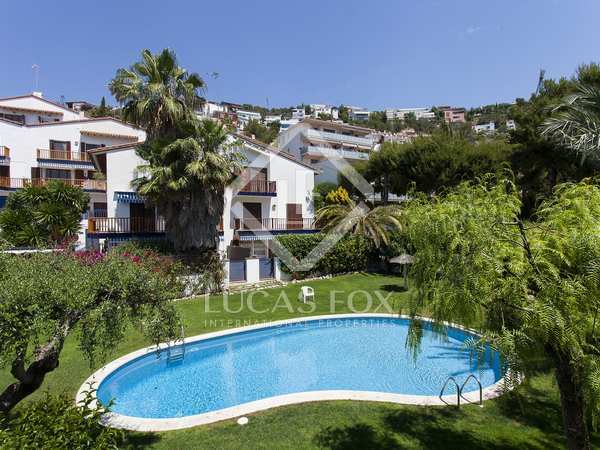 Beautiful town house with a private garden and communal pool, close to the beach and the centre of Sitges. 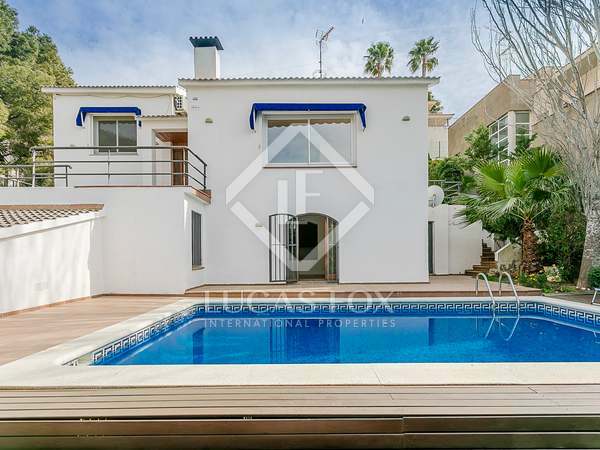 3-storey home with beautiful sea views, private terraces and communal garden with a pool, within walking distance of Sitges. 3-storey home with beautiful views of the sea with private terraces and communal garden with a pool, within walking distance of Sitges. 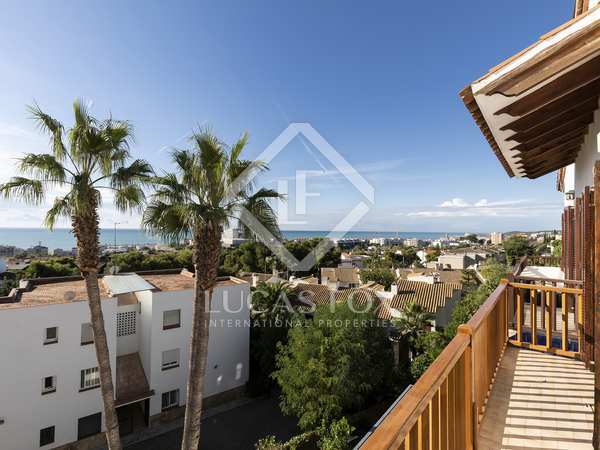 Fully furnished, 3-bedroom apartment for sale in Levantina, very close to the centre of Sitges and the beach.